Heat oven to 375°F. 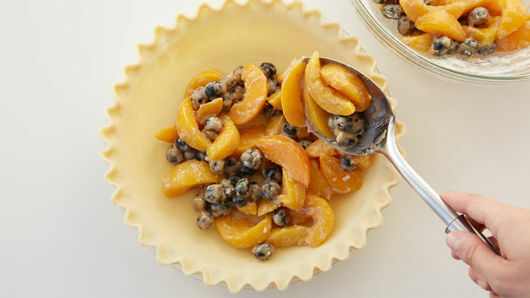 In large bowl, mix filling ingredients; spoon into crust-lined pan. 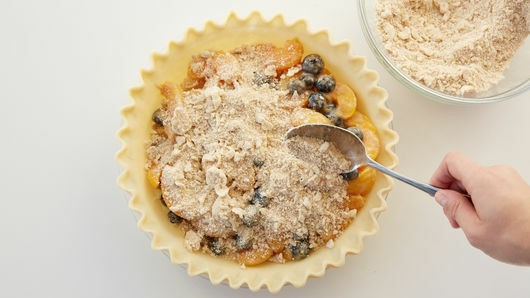 In medium bowl, mix topping ingredients with fork or pastry blender until crumbly; sprinkle over filling. Bake 40 to 45 minutes or until topping is golden brown. 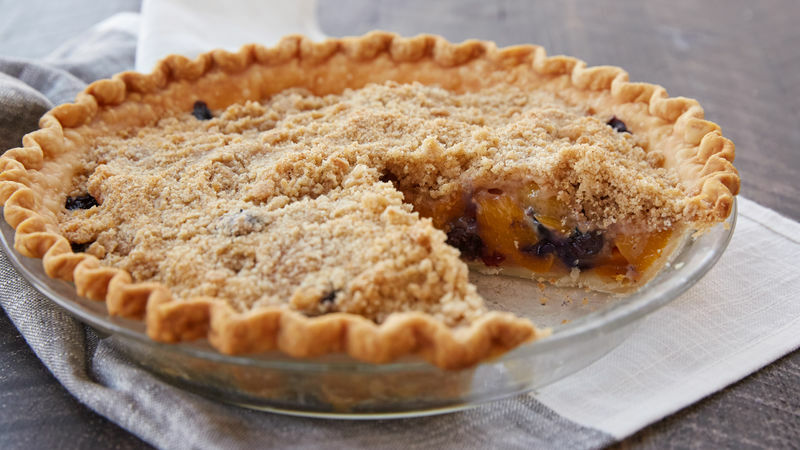 After 15 or 20 minutes of baking, cover crust edge with strips of foil to prevent excessive browning.